So you want to grow your own fresh veggies but you have a black thumb. When it comes to plants, no matter how hard you try, you are like their personal Grim Reaper. Not to worry, technology loves you and wants you to be happy. 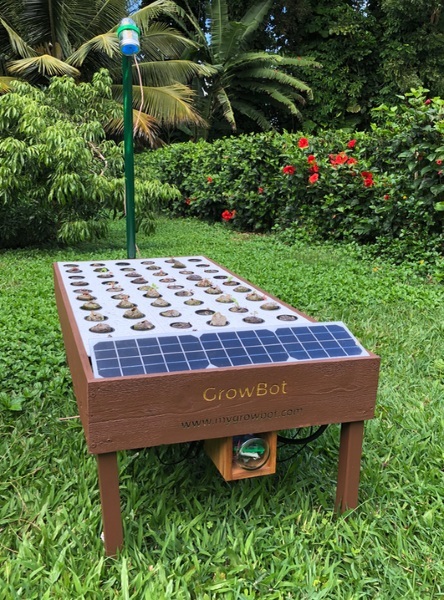 The Growbot is the fully robotic garden, it does the work so you don’t have to. 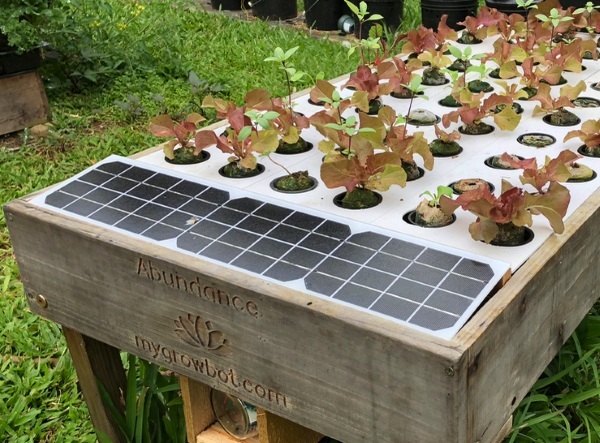 It’s a hydroponic system that is self watering and monitoring so all you have to do is reap the rewards of your purchase. Because aside from the initial setup and harvest, there’s no labor. No hours spent with your hands in the dirt, no watering. Just set it and forget it. It’s about the size of a coffee table and runs on solar energy. It uses sustainable fertilizers that don’t have hazardous run off or wasted water. It can grow vegetables, herbs, or just flowers if you need something pretty in your life. You can order one for $399.